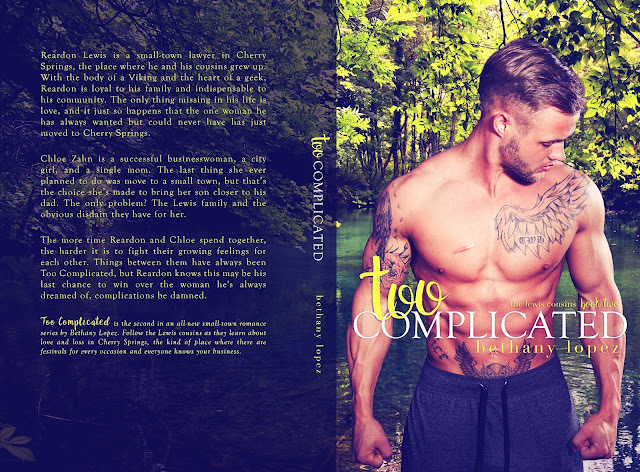 Today we are celebrating the cover reveal of TOO COMPLICATED by Bethany Lopez. Too Complicated is the second in an all-new small town romance series and it is a contemporary romance title. 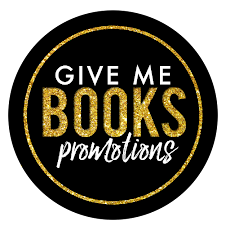 Check out the excerpt, teasers, and giveaway below. Pre-order your copy now while it's on sale for just $2.99! Reardon Lewis is a small-town lawyer in Cherry Springs, the place where he and his cousins grew up. With the body of a Viking and the heart of a geek, Reardon is loyal to his family and indispensable to his community. The only thing missing in his life is love, and it just so happens that the one woman he has always wanted but could never have has just moved to Cherry Springs. 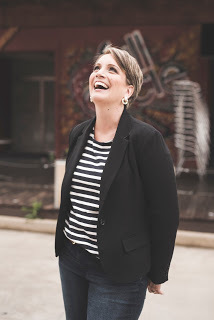 Chloe Zahn is a successful businesswoman, a city girl, and a single mom. The last thing she ever planned to do was move to a small town, but that’s the choice she’s made to bring her son closer to his dad. The only problem? The Lewis family and the obvious disdain they have for her. The more time Reardon and Chloe spend together, the harder it is to fight their growing feelings for each other. 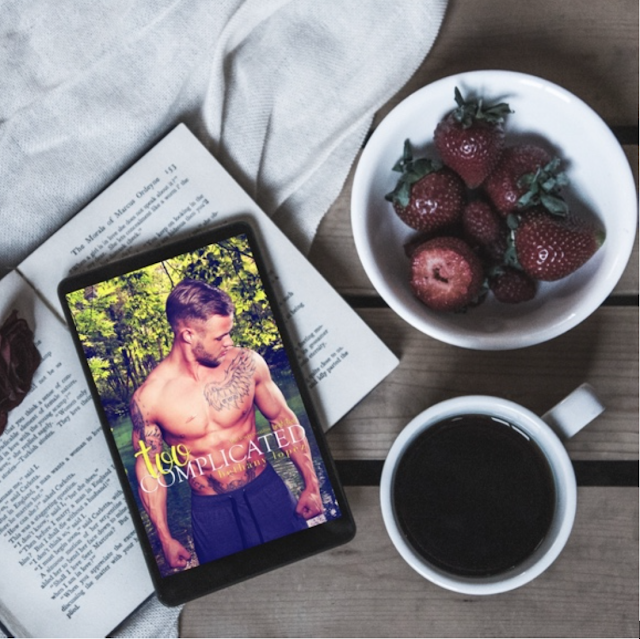 Things between them have always been Too Complicated, but Reardon knows this may be his last chance to win over the woman he's always dreamed of, complications be damned. Too Complicated is the second in an all-new small-town romance series by Bethany Lopez. Follow the Lewis cousins as they learn about love and loss in Cherry Springs, the kind of place where there are festivals for every occasion and everyone knows your business. Award-Winning Author Bethany Lopez began self- publishing in June 2011. She's a lover of all things romance: books, movies, music, and life, and she incorporates that into the books she writes. When she isn't reading or writing, she loves spending time with her husband and children, traveling whenever possible. Some of her favorite things are: Kristen Ashley Books, coffee in the morning, and In N Out burgers.